When it comes to food fraud, olive oil is one of most commonly adulterated and misbranded foods. Products can easily be mixed with lower-quality oil, adulterated or deceptively labeled. 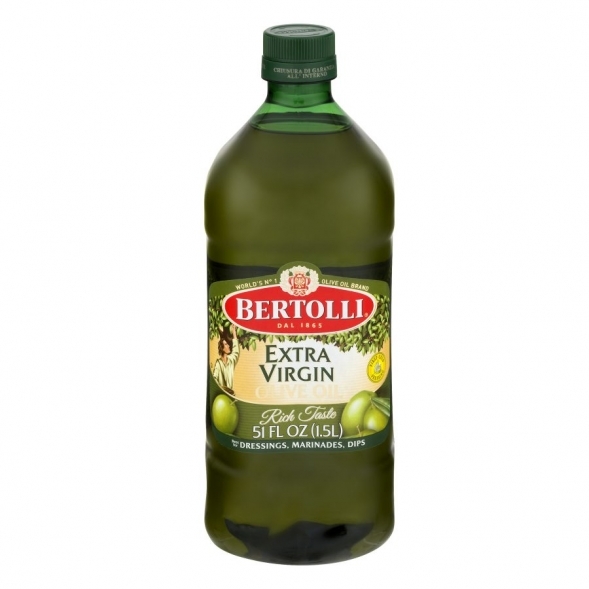 The makers of Bertolli Olive Oil settled a lawsuit against them which claimed that their product was actually imported from Italy and was really “Extra Virgin”. Unfortunately, Bertolli was also using olives from countries other than Italy even though their label on all their bottles stated “Imported from Italy”. You cannot make a universal claim that all the product comes from Italy when components are sourced from other countries. Italy, one of the world’s largest producers of olives and olive oil, happens to be one of the worst when it comes to adulteration. Olives from other countries are imported into Italy and then are “converted” into a made in Italy claim on the label. In addition, a lot of production there has other vegetable oils blended into the olive oil, seemingly difficult to detect. Unfortunately, the poor consumer who has made the healthy decision to stop using other vegetable oils in favor of olive oil, has been buying vegetable oil now under an olive oil label … and paying a much higher price for it. Olive Oil can give you the benefits of mono-unsaturated fatty acid Oleic Acid along with antioxidants and Vitamin E. The FDA accepts that olive oil has such a positive effect in preventing coronary heart disease that they allow the following statement to be mae on olive oil labels – “Limited and not conclusive scientific evidence suggests that eating about 2 tablespoons (23 grams) of olive oil daily may reduce the risk of coronary heart disease due to the monounsaturated fat in olive oil. To achieve this possible benefit, olive oil is to replace a similar amount of saturated fat and not increase the total number of calories you eat in a day. One serving of this product contains [x] grams of olive oil.” Though this claim is somewhat water-down, this is a major step of recognition by the FDA. However, this claim and those benefits do no correspond to other vegetable oils. So buyer beware. Make sure the olive oil you purchased is really olive oil and was really from the country that they claim on the label. This is very distressing for those consumers realizing that they have been paying a high price for the same vegetable oils bottled under the name “Olive Oil”, or who believe that the oil in their bottle matches the country of origin claimed on the label. This is also distressing for a manufacturer like Seagate that is forced to reduce our prices in order to compete with the olive oils that really may not even be olive oil. So, its time to take a dive and visit some tropical fish and forget these headaches. 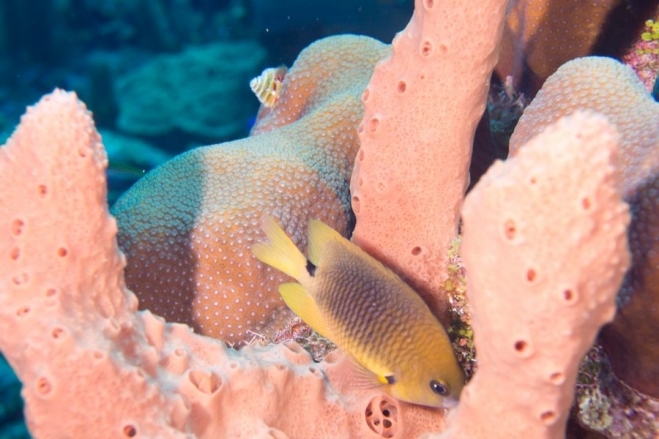 The fellow below is an Angelfish feeding on organisms living on the surface of some hard corals.